Alright here’s what I want you to do for me. Get a pen and paper, and take five(5)- ten(10) minutes, to write down nine of your favorite goals, and one of your biggest goals. Now, analyze your paper carefully. Now I’m sure half of you don’t even know how to begin to start, right? Most of you don’t even know what goals you have for yourself, most of you could not be bothered, i suppose, and most of you still contemplating your goals. This is what I’m going to teach you right here right now, so relax, you have not failed as yet, even if you cannot even start. 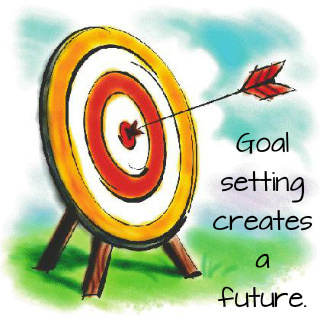 Goal setting after you sat down awhile and thought about it isn’t really that easy to set after all now is it? No its not! Before you can begin even jotting down goals there’s a very particular system you must use and in this system very particular steps must be followed. Relevant – Is this goal relevant to your life and to the “big picture” questions you have already asked yourself? Some good questions to ask yourself when figuring this out are: does it seem worthwhile? Is now the right time for this? Does this match my needs? 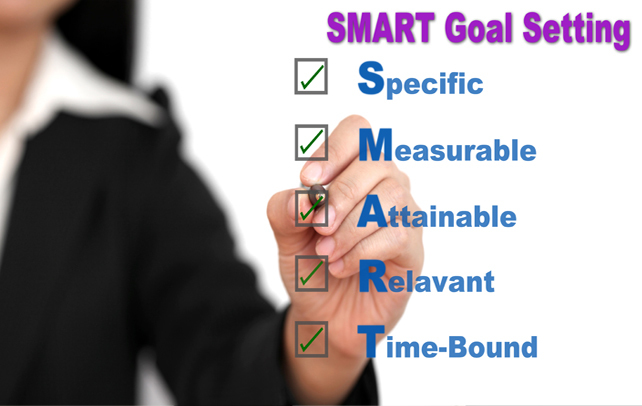 After you have gone back to the SMART system mentally, you can begin jotting down your goals. Now before/while you are write always try to remember the big picture. Always try and ask yourself some important questions about what you want for your life. You don’t have to come up with some elaborate answers, the answer to this question can be as general as “I want to be happy,” or “I want to help people,” or “I want to be fit.” These general statements can help hone in on the things that really matter to you. Recognizing the things you value will guide your decision-making and keep you focused on your end goals. Think of the answers to your “big picture” questions. Ask yourself things like what do I hope to attain in 10, 15, or 20 years from now. 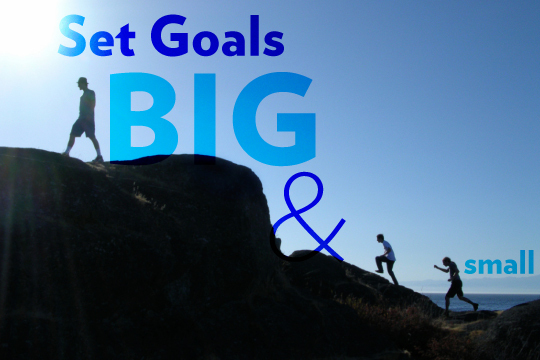 Then you got to break down the big picture into smaller more specific goals. Start to consider areas of your life that you either want to change or that you feel you would like to develop with time. Begin to ask yourself questions about what you’d like to achieve in each area and how you would like to approach it within a five year timeframe. In terms of your career, you may ask yourself what your ideal job is. What steps do you need to take to get that job? What are the roadblocks? Do you need a specific degree or certificate? With financial goals, you may want to consider where the money will come from. How much money you will need to live comfortably? What are the best ways to spend or invest money? Do you want a house, new car, or to begin a retirement plan? When it comes to family, do you want to have children, and if so, when? Do you want to have biological children, or are you open to adoption or having step children? In thinking about romantic goals, you may consider the type of relationship you want (long-term partner, marriage, open-relationship, etc. ), and how you will prioritize the time spent with a partner. What are the characteristics of a mate that make them a good fit for you? In terms of education, think about what course of study you’d like to pursue. Are you going to school to further you career? What types of courses do you need to complete for advancement at work? Are there alternate ways to enter the career you want, like apprenticeships or internships? In thinking about physical goals, consider whether changes need to be made to make you healthy. What can you do to maintain good health into old age? Think about whether there are specific physical challenges you want to meet such as a major mountain climbing expo or a marathon. Then you got to make each goal a positive statement. Once you’ve done the brainstorming and considered how to make your goals SMART. 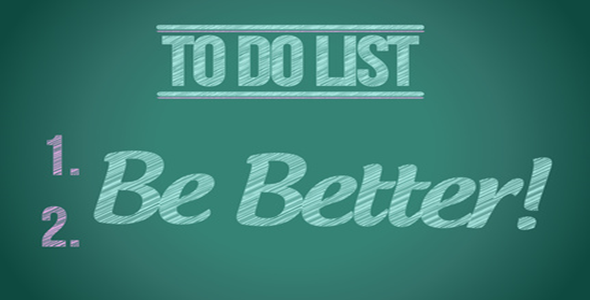 Using positive statements is a direct way to affirm your commitment to completing your goals. If your goal is to run your first marathon in 8 months, you can call friends who run for tips tonight, ask for shoe recommendations tomorrow, join a running club next week, and begin intensive training in 6 months. After you should probably set priorities. At any given moment, you have a number of goals all in different states of completion. Deciding which goals are more important, or time-sensitive, than others is crucial. If you have a college interview scheduled on the same day as a training session for your big half-marathon, the interview would take precedent as it is far more time-sensitive, and probably more important. This is a very important one. Always keep track of your progress! It won’t make any sense accomplishing goals and you don’t even remember what goals you accomplishing, now would it? Journaling is a great way to keep track of both personal and professional progress. Checking in with yourself and acknowledging the progress made towards a certain goal is key to staying motivated. Asking a friend with similar goals to buddy-up with you is a great way to keep you motivated and to make sure you hit your goal target dates. Consider pairing up with a fellow student facing the same application deadlines if you are applying for school, or another new, emerging artist if you are applying for artist residencies, fellowships, and grants. Finally always remember to reward your accomplishments! This by far, is the most important tip to goal setting. You should always try to acknowledge when you have reached goals and allow yourself to celebrate accordingly. Take this time to assess the goal process–from inception to completion.